Following a week of mixed messaging out of the Romney camp, the Wall Street Journal sounded the alarms with an editorial declaring that the Romney campaign’s failure to call the individual mandate a tax might be the turning point of the entire campaign. But the Wall Street Journal would be wise to take a deep breath: The penalty/tax dustup doesn't much matter, and it shouldn't obscure their more credible criticism—Romney’s failure to respond more aggressively to attacks on Bain Capital. Romney hardly squandered an opportunity on the mandate/tax question. Not because he didn't do any squandering, but because there wasn't actually an opportunity. The mandate was already unpopular, and describing it as a tax probably can’t make it less popular. When divorced from a relatively traditional enforcement mechanism, a government requirement to purchase health care insurance can be convincingly depicted as an extraordinary government effort to force individuals to purchase products they do not want. Remember: The libertarian critique of the individual mandate resonated broadly across party lines, making it hard to argue that calling it a penalty or a tax makes a difference. So why are Republicans so upset about Romney undermining the tax argument? Mainly because they are accustomed to jumping on tax increases as the most compelling frame to discredit a policy proposal. But the individual mandate might just be the exception to an otherwise sound rule. Did Romney bungle the tax/mandate question, even if it did not present much of an opportunity for his campaign? Sure, but so did congressional Republicans who switched to a mandate-focused message that cornered Romney without a realistic chance of further reducing the popularity of the ACA. Given that they were well aware of Romney's positioning on the mandate, congressional Republicans should have pursued a message Romney could follow: opposition to cutting Medicare, raising taxes, while leveling vague criticisms of the ACA sure to reenforce public skepticism of a complicated law. Republicans would have been wise to remember what got them here, rather than adopt the new message implicit in the text of Roberts' decision. 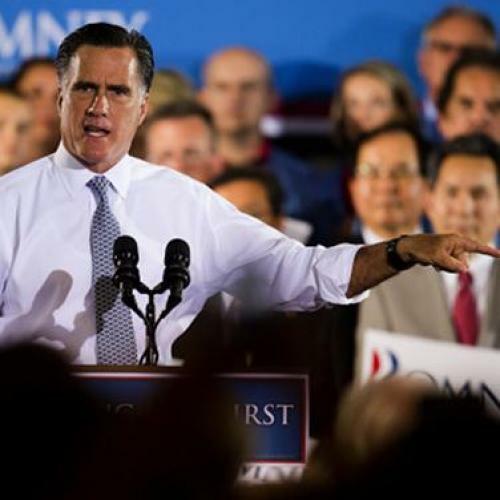 Even if Romney had blown a more strategic message, it would hardly constitute a turning point. That's because, even if the Republican attack was engineered by the most adroit political operatives, the health care reform issue simply won't cost Obama reelection. Although the ACA isn't popular, opinions largely align with existing beliefs about the President. And the political costs of health care reform are already priced into the President’s approval ratings; it's hard to see how reviving the issue could produce different results. On the other hand, Romney’s failure to more vigorously contest the Bain attacks may have more lasting consequences and, in that respect, the WSJ editorial makes a more compelling case. The Romney campaign did not invest in defending Romney’s time at Bain Capital—and between Staples, seditious surrogates, and Solydnra, there was plenty of material for Romney to construct a serious defense. Perhaps the Romney campaign was lulled into complacency by Cory Booker and Bill Clinton, or perhaps he was stretched thin at the end of the primary campaign. Whatever the cause, the WSJ’s criticism of Bain is a more serious indictment. Unlike the terminology for the individual mandate, Romney’s credibility on economic issues is central to the viability of his candidacy; his inability to defend himself against an utterly predictable effort to tarnish his reputation is inexcusable. Follow me on twitter @electionate or on the Electionate blog.